Mara! 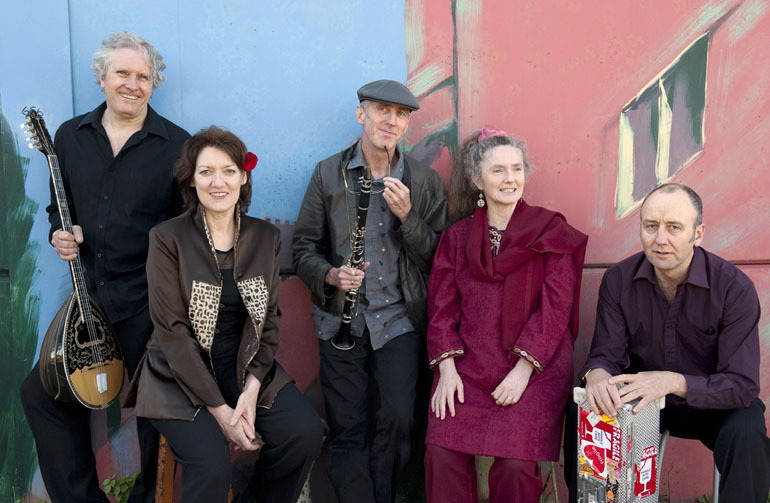 began life in Australia in 1982 as "Tansey's Fancy", playing Celtic and Early music, and performing countless arts centre, festival and campus gigs, with more than 200 concerts in 1983 alone. Band members included Mara, Llew, Doug Kelly, Adrian Coleridge, Davoud Tabrizi, Linsey Pollack, Andrew De Teliga and Kim Sanders, and many migrant musician guests. 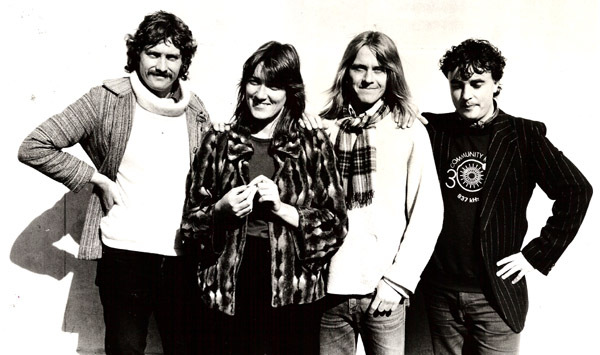 Tansey's evolved into one of the seminal "multicultural music" groups in Australia, and in 1983-4 were support act for major tours around Australia by Donovan, Pentangle, Steeleye Span, Max Boyce and the Furies. Tanseys Fancy first toured Europe in 1984 with Mara, Llew, Jim Denley and Mike Haughton. With guests Paul Miller (and occasionally Paul James) on bagpipes and Danny Thompson (from Pentangle & Donovan) on bass, "Images" was recorded at Topic Records in London, and the group changed its name to "Mara!". Danny performed and toured with Mara! in Europe and Australia for the next 4 years, recording "On the Edge" in London in 1987. As Danny's performing commitments prevented him touring with Mara! in Australia in 1987, Steve Elphick joined the band and remained Mara! 's bass player for more than 20 years. By 1990, Jim and Mike had both migrated to Europe, and Sandy Evans and Tony Gorman joined Mara!. Numerous Australian, European, Canadian, Asian and New Zealand tours and Australian work with Musica Viva in Schools continued and by 1997 the albums "Don't Even Think", "Ruino Vino" and "Sezoni" had been produced in Australia. Sandy won a Keating award in 1996, and decided to focus on her own projects, and was briefly replaced by violinist Veren Grigorov. Tony retired from Mara! due to health problems in 1997, and Paul Cutlan and Andrew Robson began an eleven year partnership with Mara!. During the last three years of the decade there were several Australian and foreign tours with this line-up. The 2000 Sydney Olympics were a major highlight for Mara! and Martenitsa with the presentation of their "Homeland" collaboration with aerial specialists Legs on the Wall at the live site at Sydney's Circular Quay. A massive arena, a huge canvas (the 50 storey AMP Centre) and a multimedia performance was a highlight in all our musical lives. "Homeland" was subsequently performed at The Brisbane Festival and the Berlin Poesiefestival with live music from Mara!/Martenitsa, and later at the Manchester Commonwealth games with pre-recorded soundtrack. Extensive Australian and international tours were undertaken after 2000, with several tours visiting Asian festivals. In 2005 the first combined International tour with both Mara! and the Martenitsa Choir (highlights being WOMAD Reading and Koprivshtitsa Bulgaria) followed several joint concerts in South East Australia. In 2009 Andrew withdrew from regular performing with Mara! to spend time with his new family, and Sandy Evans rejoined the band. In this decade the albums "Live in Europe" and "Sorella" were released. In 2012 Lloyd Swanton replaced Steve as Mara! 's regular bassist, just after the release of the album "Tra Parole e Silenzio" and its launch at Woodford Folk Festival (over New Year 2012). 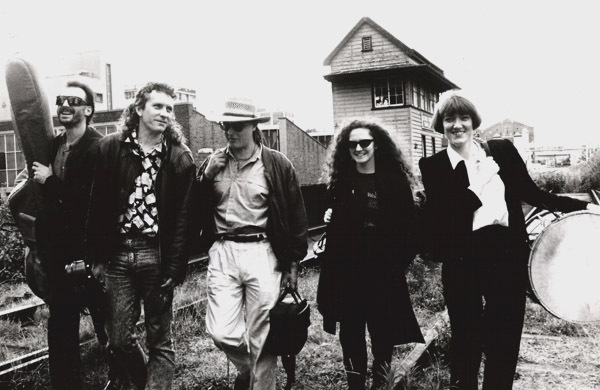 In fact Lloyd was not new to the band as he was one of the first bass players to work with Mara and Llew in Tansey's Fancy during the early 80s. A highlight of 2013 was Mara! and Martenitsa's return to WOMADelaide, having performed at the first one in 1992 when Martenitsa was touring with Bulgaria's famous Trio Bulgarka and Balkana. It was Mara! 's third WOMADelaide, and the combined Mara!/Martenitsa ensemble presented "Tra Parole e Silenzio". 2014 marks the 30th anniversary of the Mara! band, with several special events to celebrate. Mara! has performed at most major venues in Australia from the Perth Concert Hall to Sydney Opera House, Victorian Arts Centre to Brisbane Festival Hall, Adelaide Festival Theatre to Darwin Entertainment Centre, Ayers Rock Resort to Canberra Theatre. Major festivals have included WOMADELAIDE, Pt. Fairy, Woodford, Sydney Festival, Adelaide Festival of the Arts, several National Folk Festivals, Perth Festival, Brisbane Energex Festival and Melbourne’s Moomba. Mara! have performed at major cultural events such as the Commonwealth Heads Of Government Meeting and the Olympic Arts Festival Sydney 2000. Mara! have recorded and broadcast for many ABC and SBS programmes. Funding assistance in Australia has included the Australia Council for the Arts, the Victorian Association of Performing Arts Centres, the South Australian Country Arts Trust, New South Wales Ministry for the Arts, Playing Australia, SOCOG Reaching the World, WA Healthways, Northern Territory Arts Council, Musica Viva’s Countrywide and International Programs, and the Department of Foreign Affairs and Trade. Indirect funding sources include Arts/City Councils, education authorities and corporations. Since 1988 Mara! has performed very widely in Australian schools for Musica Viva, and launched MVIS in the Northern Territory in 1997 and in South Australia in 1996-7. In 1999 and 2007, Mara toured "Across the Top" for Musica Viva, performing in many schools and regional arts centres from Kwinana (WA) to Gladstone (Qld). In 2007 Mara! also performed at 6 remote aboriginal communities in Western Australia. In recent years, the Mara! line-up for Musica Viva in Schools has often included Brendan Clarke on double bass and Tim Clarkson and Nick Bowd on woodwinds.